Richard McCandless has been writing and performing music for percussion with and without electronics since 1973. His performance of his composition Childhood for speaking percussionist prompted the Washington Post to report, "Mr. McCandless showed himself to be a master of sounds -- subtle, emphatic, expertly shaped and richly expressive." The New York Times has referred to McCandless as a gifted performer, and the Washington Post has commented, "Mr. McCandless clearly places a high priority on communication as well as innovation." Timbre and rhythm are the prime components of McCandless's music, and the generation and release of energy is a major organizational principle. Using solely non-pitched percussion with and without electronics, his sound palette is broad and resonant. McCandless's music, with its precisely notated percussion and electronic parts, is at times quiet and reflective, and at others dramatic and bombastic. Each work stems from his response to an extraordinary experience, and aims to evoke a similar response in the listener. 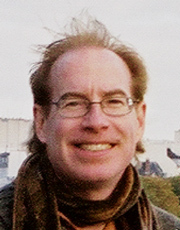 McCandless is a member of the American Composers Alliance, and his composition Voyager was presented at their 2010 Annual Festival. He is also a member of the New York Composers Circle. His work as both performer and composer has been presented at many New York City venues, including a profile concert on the North River Music series. From 1980 to 1985, McCandless was the percussionist with the Washington Music Ensemble, with whom he frequently performed in New York at Merkin Concert Hall and Carnegie Recital Hall, and in Washington at the Kennedy Center for the Performing Arts and the Library of Congress. McCandless lives in Washington, DC. Recordings of his performances and works are available from New World/CRI and Bad Habit Media. His music is published by the American Composers Alliance.